"Try to keep up with customers orders!" 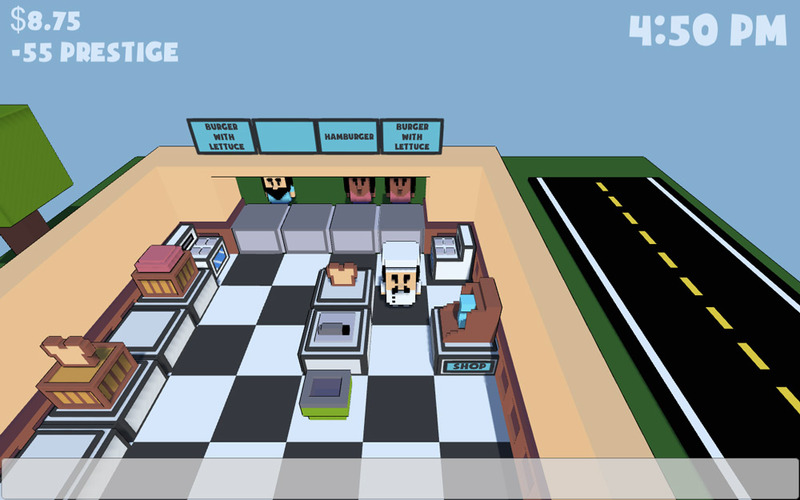 Frank's Kitchen is a small simulation game where you play as the titular Frank who is a chef just starting out his career using only a very basic kitchen he must try to keep up with the orders that come in and come in fast they do! The customers will only ask for items that your kitchen is stocked to deal with so when you start out it will just be hamburgers and hamburgers with lettuce, however there is a lot of customers so you will have to multi task and come to grips with scurrying around your kitchen very fast, if the customers are not served quick enough they will leave. With each successfully made and sold order you will receive some money, when you have enough money you can buy items to help upgrade your kitchen and help you work faster as well as being able to offer different items on the menu. 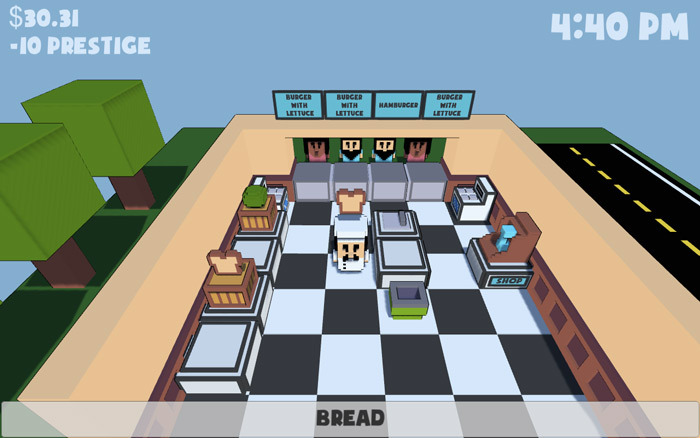 The game can be very frantic at times but also a lot of fun, the graphics are bright and inviting and although it is still early in development it shows a lot of promise for a fun kitchen management simulation game. You can download Frank's Kitchen here for free.